Robyn Vilate: now you see me, now you don't! please avoid judging for the winter beanie in august. it was a bad hair day and nothing else seemed to really work. hence, beanie. 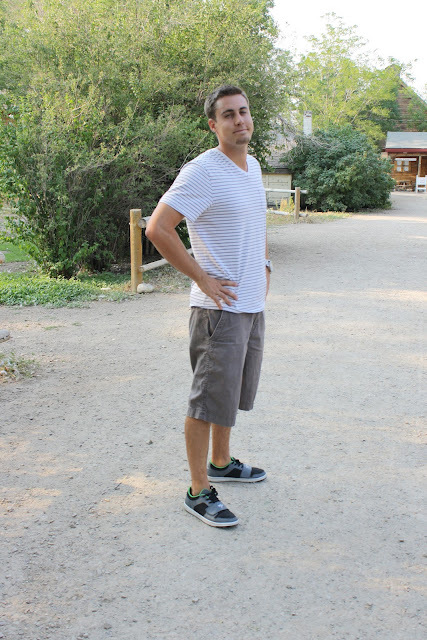 kimball's "model" pose- showing off his outfit. it's as good as i could get. oh aaand of course. 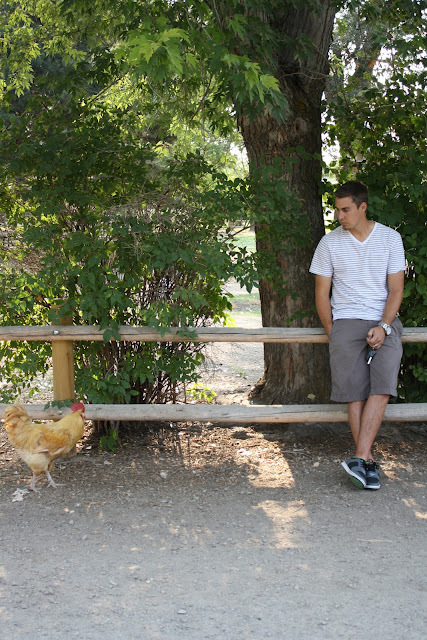 the stare-off with the rooster. turns out there's some pretty amazing things you can do with this camera, we've only had it 2 1/2 years now. no worries. literally breaking out my camo pants again for this fall. i've missed them so!